"There's a family in our driveway." Universal has released a 60-second TV trailer for Super Bowl Sunday for Jordan Peele's new horror thriller Us, arriving in theaters everywhere next month. The first full trailer debuted on Christmas Day last year, and this is the only other footage they've released for this film. Lupita Nyong'o and Winston Duke star as husband and wife of a family who take their kids to their beach house, but some mysterious people arrive and suddenly things get really crazy. The cast includes Elisabeth Moss, Yahya Abdul-Mateen II, Kara Hayward, Anna Diop, Tim Heidecker, Shahadi Wright Joseph, Nathan Harrington, plus Evan Alex and Madison Curry as their kids. I dig that they're not showing anything else or revealing anything major and keeping most of the film a big secret. Looking forward to this. 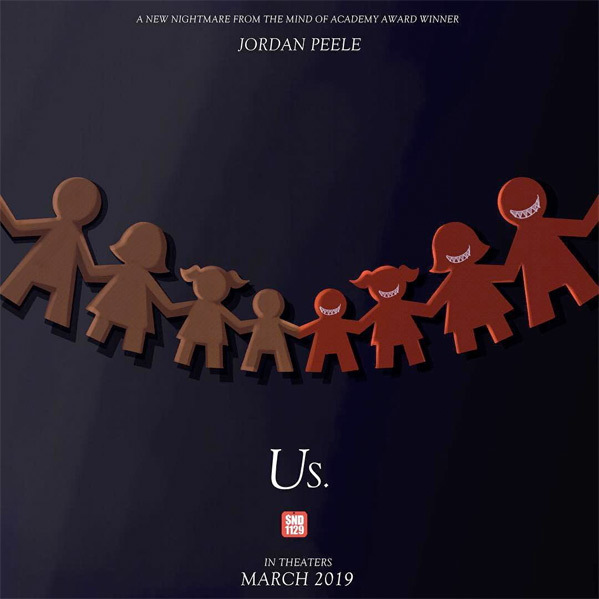 You can also watch the first official trailer for Jordan Peele's Us here, to see more footage from this movie. A mother and father (Lupita Nyong'o and Winston Duke) take their kids to their beach house, expecting to enjoy time with friends, but their serenity turns to tension and chaos when some visitors arrive uninvited. Us is directed by American actor / writer / comedian / filmmaker Jordan Peele, his second feature film after directing Get Out previously. He has also produced a few movies, in addition to working on the script for Keanu, including BlacKkKlansman. This might secretly premiere at a festival, but nothing is announced yet. Universal will release Peele's Us in theaters everywhere starting March 22nd, 2019 coming up soon. Follow Jordan on Twitter @JordanPeele or follow #UsMovie for more updates. Who's ready to see this?